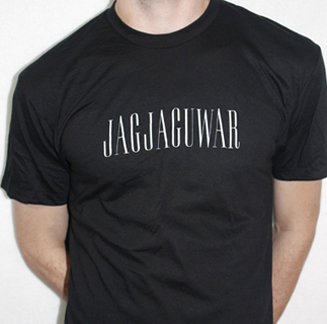 Jagjaguwar "Jagjaguwar Logo Shirt Black"
Jagjaguwar Logo printed on American Apparel 100% cotton T-shirts. 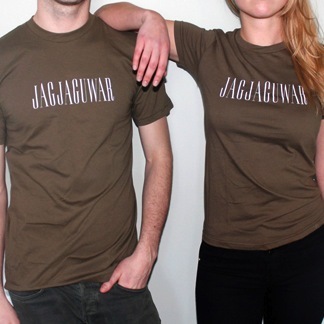 Jagjaguwar "Jagjaguwar Logo Shirt Black, XXL"
Jagjaguwar "Jagjaguwar Logo Shirt Green"
Jagjaguwar Logo printed on army green American Apparel 100% cotton T-shirts. 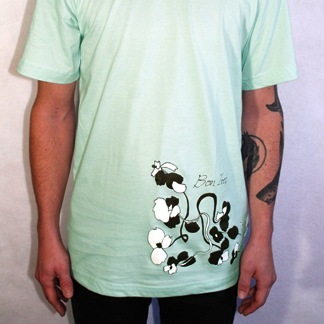 Models wearing unisex size medium and women's size medium. 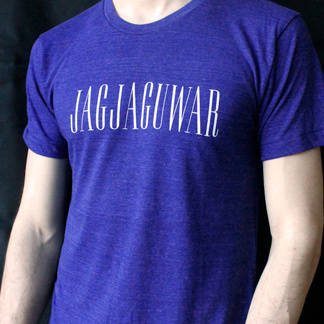 Jagjaguwar "Jagjaguwar Logo Shirt Indigo"
Jagjaguwar logo printed on American Apparel Tri-Blend (50% Polyester / 25% Ring-Spun Cotton / 25% Rayon) T-shirts.